11 Apr 2019 --- Like other developed regions of the world, the Australasian packaging industry is fronting up to increasing public and regulatory demand for more sustainable packaging solutions. This is epitomized by Australia’s 2025 National Packaging Targets, which stipulate that 100 percent of the country’s packaging must be reusable, recyclable or compostable by 2025. Nerida Kelton, Executive Director for AIP, discusses the role of packaging technologists in striking a balance between functionality, commercial reality, consumer demands and environmental criteria in the mission to meet national sustainability targets. With 2025 only six years away, now is the time for businesses to stop and re-evaluate current packaging designs and formats and to develop a structured plan to ensure that all of their packaging adheres to the sustainable targets, according to Kelton. However, this is not a simple process. “As the peak professional body for packaging education and training in Australasia, AIP is often asked to simply provide a list of the exact substrates and materials that should be selected for every product on the market to meet the sustainable packaging targets. The answer, unfortunately, is never that simple,” she tells PackagingInsights. “When you sit down to redesign your packaging, please make sure that your team are fully-informed and able to truly measure the reasons behind your decisions. Gather as much data as possible to be able to manage all expectations across your business and your supply chain,” she advises. In September 2018, Australia’s 2025 National Packaging Targets were announced at a milestone industry event convened by the Australian Packaging Covenant Organization (APCO). These targets build on commitments made on 27 April 2018 by Commonwealth, State and Territory Environment Ministers and the President of the Australian Local Government Association to set a sustainable path for Australia’s recyclable waste. One hundred percent of all Australia’s packaging will be reusable, recyclable or compostable by 2025 or earlier. Seventy percent of Australia’s plastic packaging will be recycled or composted by 2025. Thirty percent average recycled content will be included across all packaging by 2025. Kelton notes that AIP often has to remind packaging professionals that the “true role” of packaging is its functionality. First and foremost, packaging is designed to ensure that a product is protected all the way across the supply chain. This includes the vital role that packaging plays in ensuring the health and safety of the products and consumers, that product waste is kept to a minimum and the efficiency of the packaging can withstand the rigors of transport. “The functionality cannot be ignored when redesigning packaging to meet the national sustainability targets. ‘Sustainable Packaging,’ in the simplest of terms, is packaging that performs the primary role of functionality but is also designed with the lowest possible environmental impact when compared to an existing or conventional pack,” Kelton notes. AIP recommends that technologists study the End of Life (EoL) of each product, or the expected post-consumer use disposal option for the packaging. APCO has developed the Packaging Recyclability Evaluation Portal (PREP), which provides information to ensure that suppliers are selecting the most appropriate packaging substrates that will actually be able to be reused, recycled or repurposed. The PREP tool is the starting point for the application of the new Australasian Recycle Label (ARL), which provides helpful and consistent on-pack information to the consumer on correctly disposing of the packaging items, Kelton explains. “In addition, all manufacturers have a responsibility to better understand the current recycling facilities and capabilities in Australia, and those nations to which you may export your products, and ensure that packaging is able to be sorted and processed through these systems,” she tells PackagingInsights. “A useful exercise is for manufacturers to take designers, marketers and agencies down to the local Material Recycling Facilities (MRF) to see what happens to the packaging collected at curbside. Also, they can arrange with suppliers to visit the paper, glass or plastics recycling facilities or review the RED Cycle program for soft plastics to really get a true view of what happens to packaging at EoL. This exercise will ensure that design teams develop packaging that can be reused, recycled, composted or repurposed,” Kelton adds. The pressure on Australia and other developed nations to improve home recycling infrastructure has greatly increased after a series of Asian countries closed their doors to imported plastic waste. This month, India joined a list including China, Malaysia and Thailand. The India ban is expected to hit Australia particularly hard as India is one of its largest waste export destinations. In addition to improving home recycling infrastructure, designed-in recyclability is a key factor in the drive for more sustainable packaging solutions. 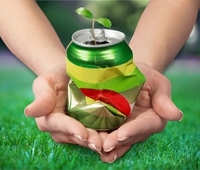 Many of the finalists for the 2019 Australasian Packaging Innovation & Design Awards (PIDA), announced this week, demonstrate a focus on designed-in recyclability, suggesting that suppliers, FMCG companies and retailers are working towards the 2025 national targets. The Australasian packaging industry’s focus on designed-in recyclability plays into the global trend of increased sustainability in packaging. Innova Market Insights identified “Recyclable by Design” as its number one global packaging trend for 2019, citing widespread bans on single-use plastics, the implementation of China’s “National Sword” policy and increasing media attention around the environmental scourge of plastic pollution as significant drivers behind the trend. Kelton recommends that packaging technologists also contact APCO, which is tasked by the Federal Government to ensure that the national targets are achieved. “APCO has developed a substantial amount of information tools, checklists and guidelines that will guide you through the process and will help you optimize packaging to make more efficient use of resources and reduce environmental impact without compromising product quality and safety,” Kelton says. With Australian consumers throwing away around 3.1 million tons of edible food a year and another 2.2 million tons disposed of by the commercial and industrial sector, Kelton also stresses the need for the industry to come together to solve the long-standing food waste issue. The Federal Government National Food Waste Strategy is aiming to halve Australian food waste that goes to landfill by 2030. As a part of the AIP’s commitment to realizing this target, it has established key criteria and guidelines for packaging professionals to use as the standard for Save Food Packaging Design. “With all of the current discussions focused on fighting food waste and the role of packaging in minimizing food waste, it is extremely important that the industry recognizes and awards companies who are working in this design area and trying to make a difference,” Kelton explains. She highlights The Save Food Packaging Design Special Award as it is designed to recognize companies that have developed innovative and sustainable packaging solutions that minimize food losses and waste, extend shelf life and improve the supply of food. Another benefit of the award, in the eyes of Kelton, is that the AIP have the ability develop best-practice examples to showcase what true and innovative Save Food Packaging Design really looks like to help guide others. The AIP has spent the last four years developing Save Food Packaging Design guidelines that have been the foundation of the award category judging. These guidelines enable the judges to provide feedback and areas of improvement to the entrants so that they can ensure that all of the criteria are met to successfully market their packaging as unique for saving food. “The long-term goal is that all food packaging technologists and designers incorporate Save Food Design guidelines as a standard practice into their NPD process. Every food manufacturer has a role to play in minimizing food waste and it can start with packaging design,” Kelton concludes.